A lucky 85 from Sachin Tendulkar was followed by a disciplined bowling effort as India beat Pakistan by 29 runs in a high-stakes semifinal Wednesday to progress to the World Cup final against Sri Lanka. Pakistan was dismissed for 231 in the last over chasing 261, sparking wild celebrations among the 28,000 people inside the Punjab Cricket Association Stadium and across the nation of more than 1 billion people. Pakistan had done well earlier to peg India back to 260-9 after Virender Sehwag’s flying start, with left-arm pace bowler Wahab Riaz taking a career-best 5-46. 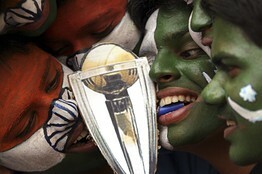 The victory continued a streak for India, which has beaten Pakistan in all five World Cup head-to-heads dating back to 1992. The game was touted as a duel between India’s batting lineup and Pakistan’s bowling attack, but Pakistan’s shoddy fielding was eventually the difference between the two sides. Tendulkar was let off four times, giving him the opportunity to knit together a challenging total for India and the bowlers then ensured a third World Cup final appearance for the 1983 champion. India piled the pressure on a Pakistan batting lineup which failed to produce a single century in the tournament. Pakistan’s early promise was slowed down in the middle overs as Yuvraj made early inroads and the bowlers slowly took control, marshaled well by captain Mahendra Singh Dhoni. All five Indian bowlers finished with two wickets each. The only time Pakistan looked capable of the chase was when openers Kamran Akmal and Mohammad Hafeez were at the crease. Kamran Akmal slashed a ball from Zaheer Khan straight to Yuvraj at point after making 19, while Hafeez went for an unnecessary scoop off Munaf Patel and was caught behind for 43. Yuvraj then dismissed Asad Shafiq and Younis Khan and Pakistan was reduced to 106-4 by the 26th over. Umar Akmal added some interest with a 24-ball 29 and Misbah-ul-Haq made a late charge of 56, but with the ball not coming on to the bat too well later in the day, it was always going to be difficult for them. In the first innings, Riaz exposed India’s traditional weakness against left-arm seamers, striking at crucial junctures. He accounted for a dangerous looking Sehwag (38) and an in-form Yuvraj for a first-ball duck, as the famed Indian batting struggled against his swing. Pakistan also made Tendulkar wait for his 100th international century despite dropping the world’s best batsman four times. Tendulkar also had an lbw decision overturned on referral and survived a close stumping appeal in what has to be one of his luckiest innings ever. Tendulkar faced 115 balls and hit 11 fours even as Riaz pegged back the Indian middle order with the dismissals of Virat Kohli (nine) and Yuvraj off successive deliveries. Pakistan captain Shahid Afridi on Wednesday urged his team to learn the lessons of the 110-run defeat against New Zealand. The Black Caps rode on a brilliant unbeaten 131 by Ross Taylor to post a challenging 302-7 before Tim Southee removed the top order with a burst of three early wickets to bowl Pakistan out for 192. “There were quite a few lessons to be learned from the defeat, especially those chances we gave to Taylor and when you give such chances to a player like him he makes you pay,” said Afridi. Wicketkeeper Kamran Akmal let Taylor off twice in the same Shoaib Akhtar over – once when the batsman was on nought and then on eight – allowing two straightforward chances to slip past him. 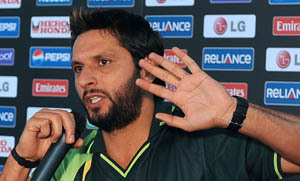 Afridi said his bowlers were poor in the death overs when New Zealand plundered 139 runs off the last 10 overs. “I think the way we started with the ball was good, but then the missed chances maybe demoralised the bowlers and they were very poor in the end,” said Afridi. Afridi hoped his top order batsmen will show improvement in the next game, against Zimbabwe on Monday. “Our top order did not work well although we have given them the time to settle down and this was the first time we were chasing. We need to learn how to bat while chasing,” said Afridi. 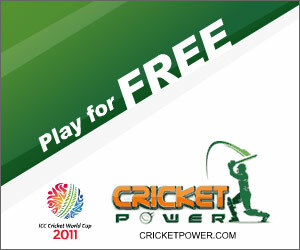 “Taylor took the game away from us although the bowlers had reverse swing. But the way he played was brilliant and he took the game away from us,” said the Pakistan captain. Pakistan now have six points from four matches, second in Group A behind New Zealand who also have six points but a better net run-rate. 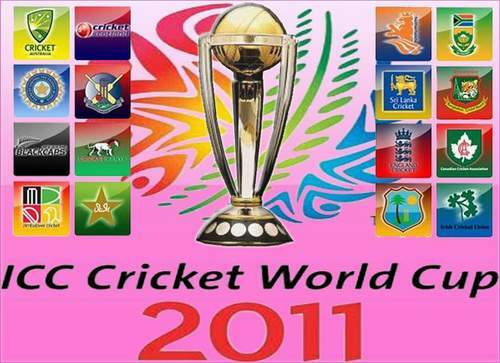 Co-hosts Sri Lanka (five points from four) and Australia (five from three) are third and fourth respectively. d also taken away its rights to host World Cup ties. The country shredded by blasts and violence is now forced to host its international matches in Dubai. Winning this World Cup, coach Waqar Younis feels, could change all that and pave the way to bring international cricket back to the country. “It is unfortunate that we are not hosting. Yes, we are missing World Cup matches at home. But if we play as a unit, which we are at the moment and go on to win, I believe it will definitely help get international matches back to Pakistan,” Waqar said after Pakistan began their campaign with a win in a warm-up match against Bangladesh. “Everyone back home is disappointed that the World Cup is not happening in Pakistan. But we are looking forward. Violence has taken international cricket away from the country but I am sure our cricket will bring cricket back,” Intikhab Alam, Pakistan’s first one-day captain who is the manager of the team here, told HT. Back in Pakistan which is celebrating Id-e- Milad-un-Nabi, the birthday of Prophet Mohammad, cricket, it was learnt, is the buzz now. “I think the people of Pakistan have already come to terms with the World Cup not happening here. Tuesday’s match was not on TV and so very few people could follow it. But people are keeping track and everywhere I went I heard cricket being discussed,” spokesperson of the Pakistan Cricket Board, Nadeem Sarwar told HT from Lahore. “What Waqar said is right. But it will not happen overnight. Winning the World Cup will surely have a unifying effect on the country and if that means law and order is restored, the other boards too will not have problems sending their teams to Pakistan. “We are making progress in this regard. The Afghanistan team was here. And now the Nepal women’s team is playing a T20 and one-day series here,” Sarwar said. It’s still early days but a motto like this can definitely keep the team together. But sport has its share of such instances. When Spain, with a majority of Catalan players led by a man from Real Madrid, went on to win the football World Cup, a month-long euphoria blurred all differences.